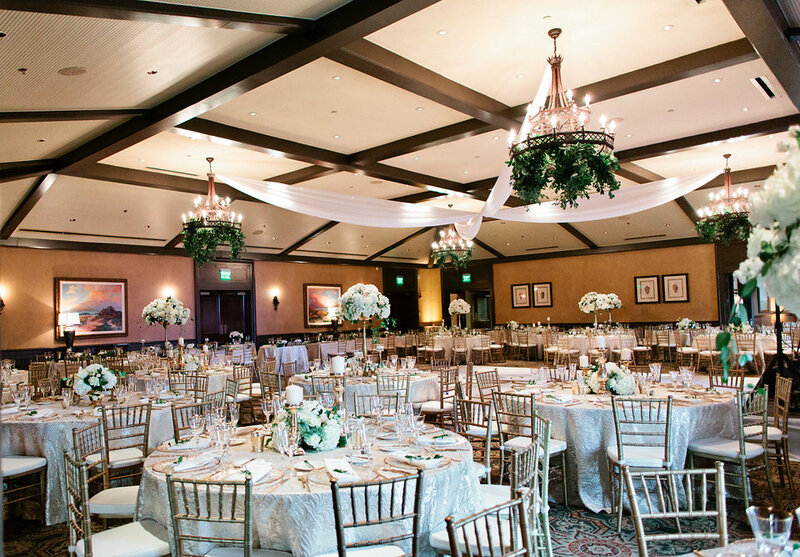 The Players Club at Sawgrass is a breathtaking venue. 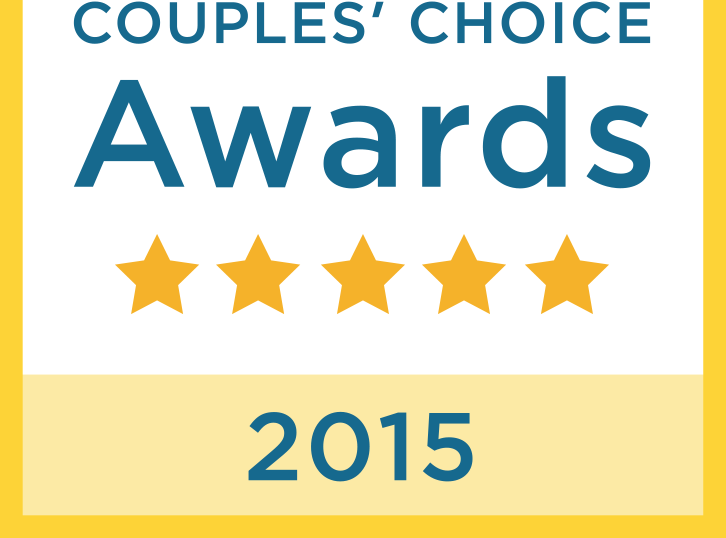 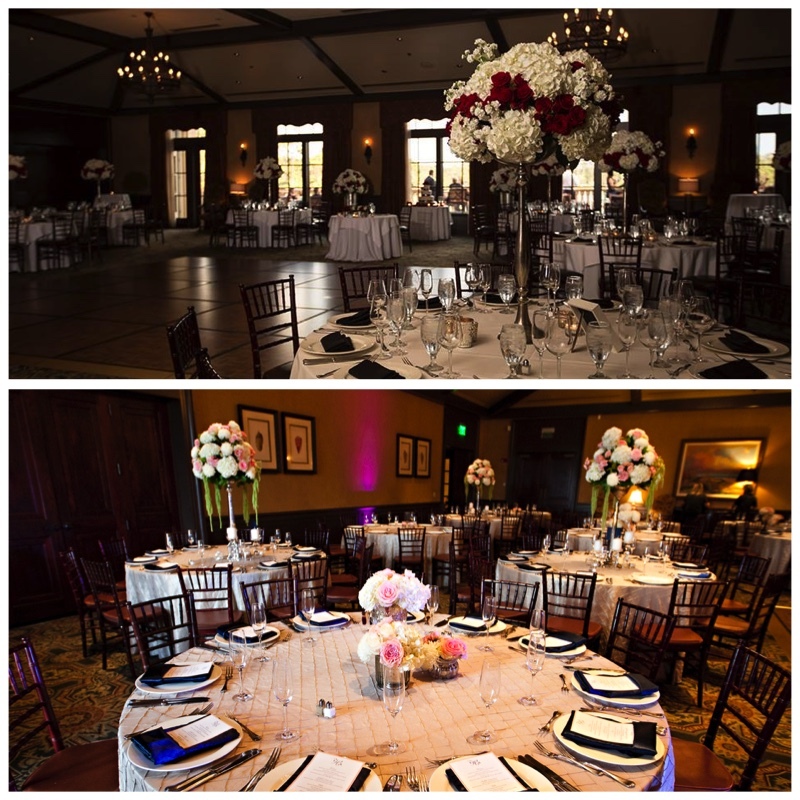 Whether you are looking for an intimate wedding or a lavish one TPC is a wonderful space. 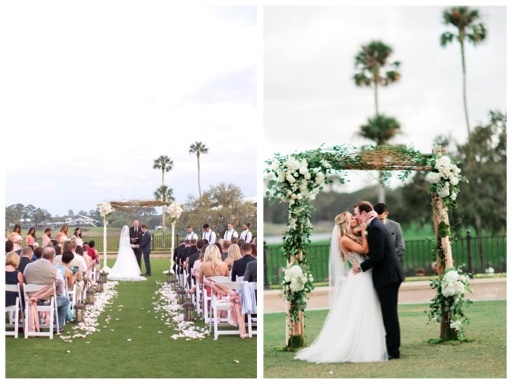 The lawn at TPC has views of the gorgeous golf course. 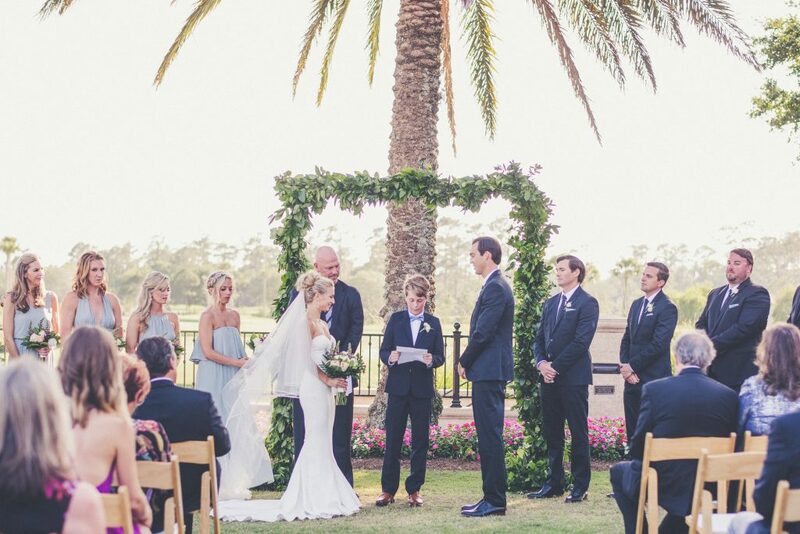 We love to make arbors that suit our bride’s style and add their personal touch to this already beautiful ceremony location. 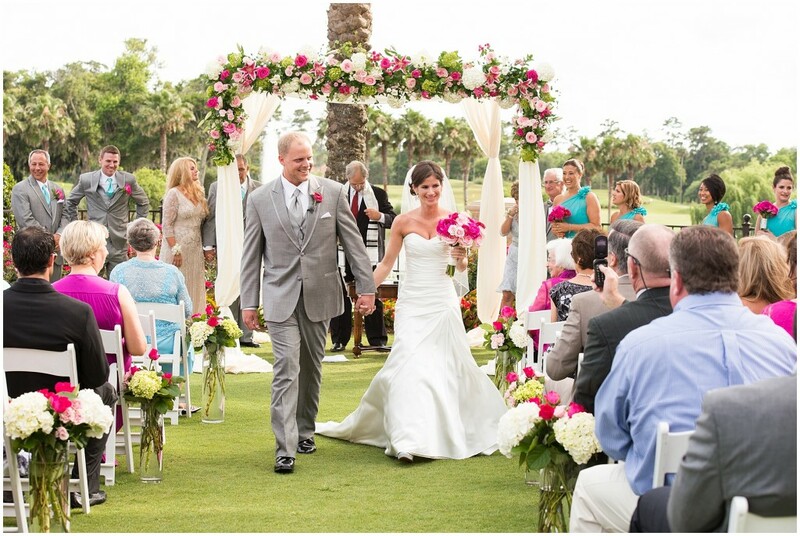 TPC offers another outdoor venue by the beautifully landscaped palm tree area overlooking a pond. 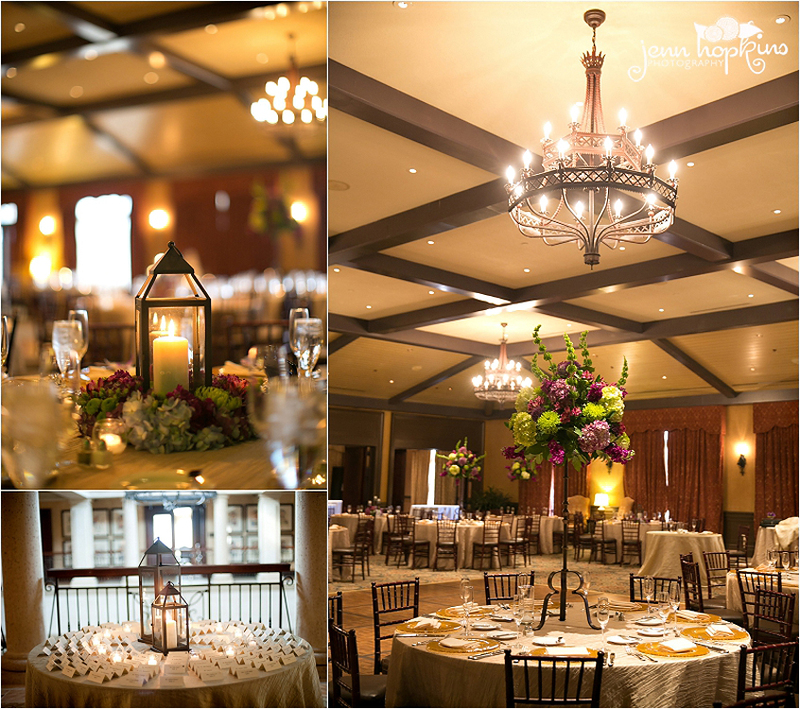 TPC offers a beautiful inside option as well. 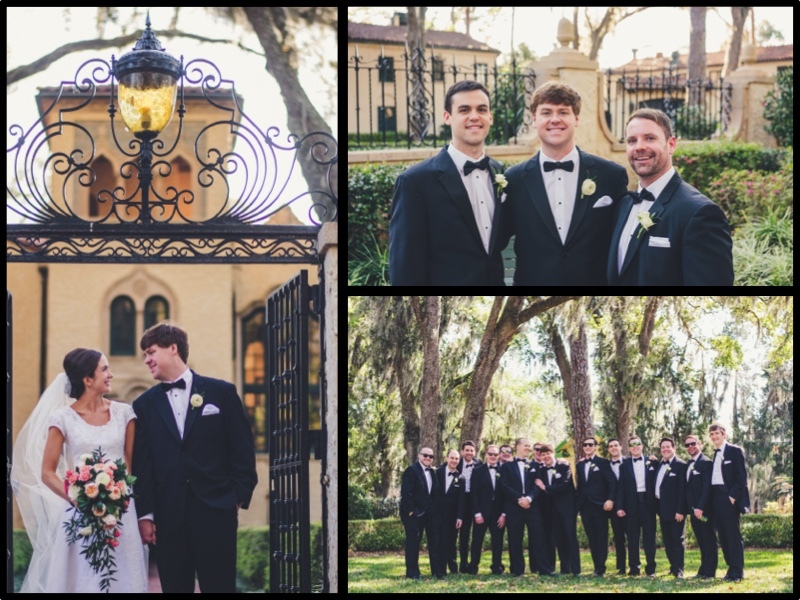 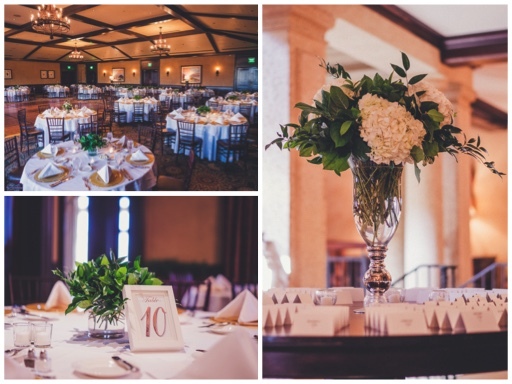 The clubhouse is a Mediterranean revival style with vaulted wood ceilings, iron chandeliers, and terra cotta tile. 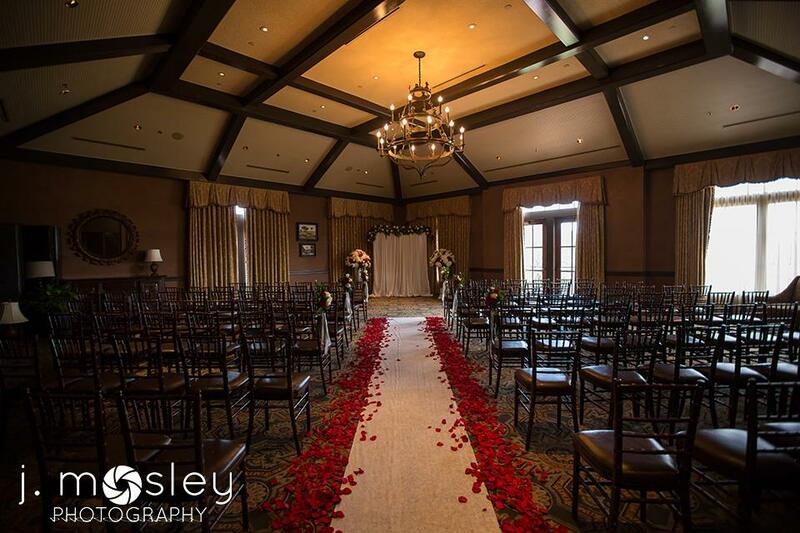 Whether you have a classic romantic style or a natural, organic look, we love to transform the TPC clubhouse to our bride’s vision. 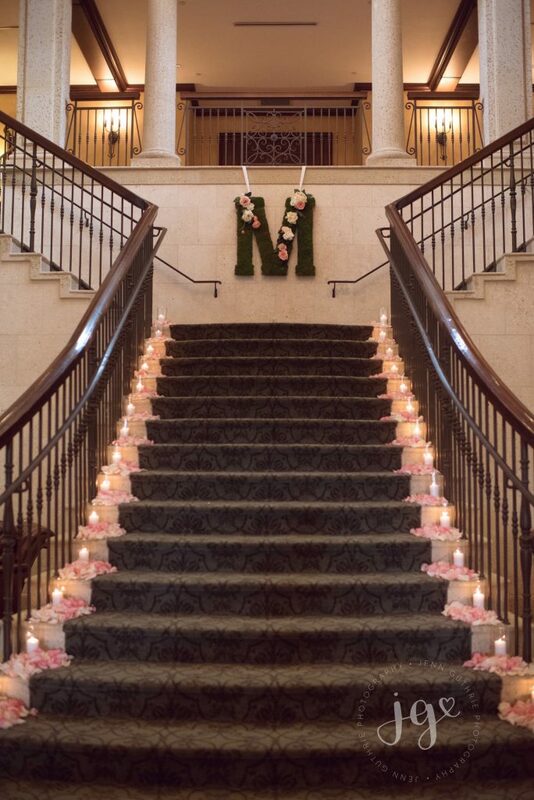 TPC boast an absolutely stunning staircase that brides love. 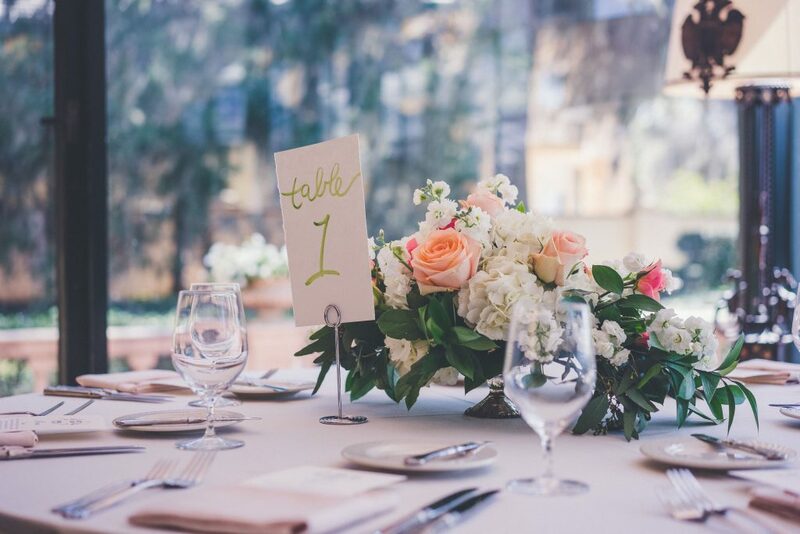 This picture depicts the décor of candles and flowers that one of brides chose to welcome her guests. 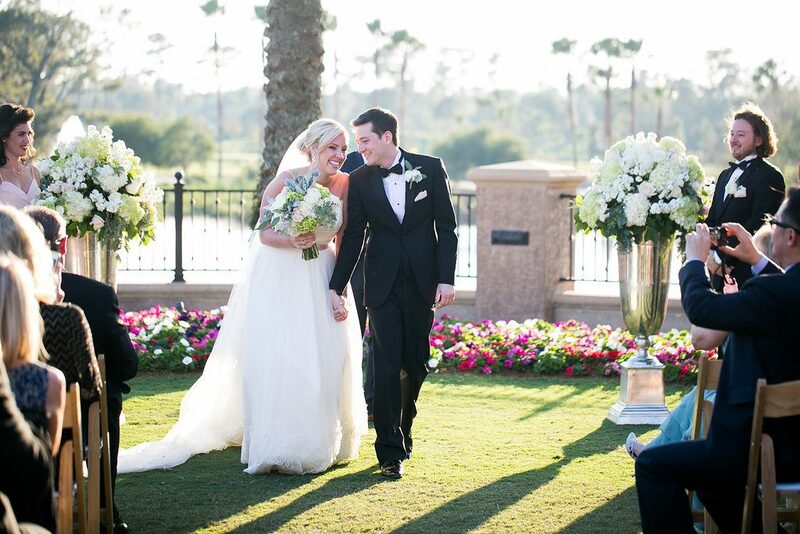 The entire staff at TPC is amazing, organized, professional and accommodating. 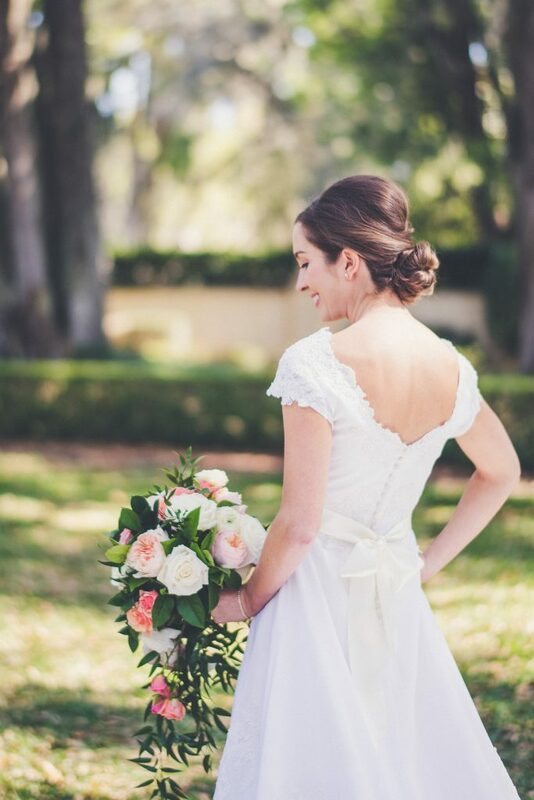 They handle all the details for you. 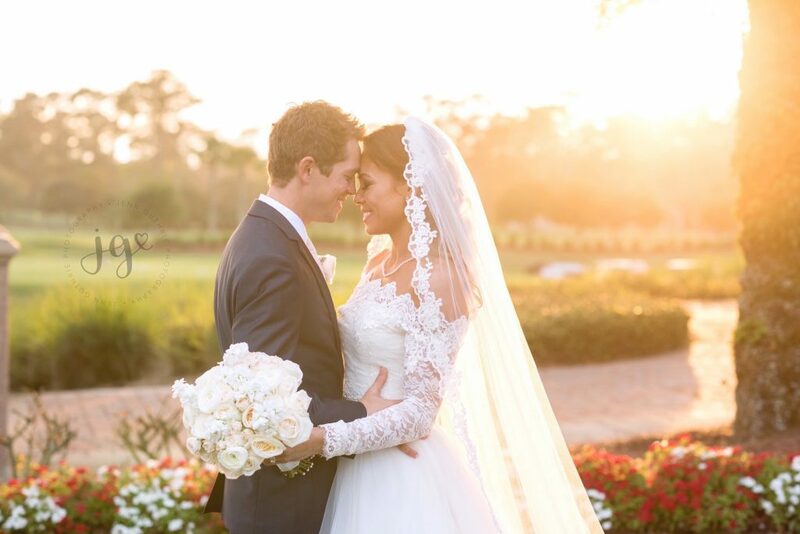 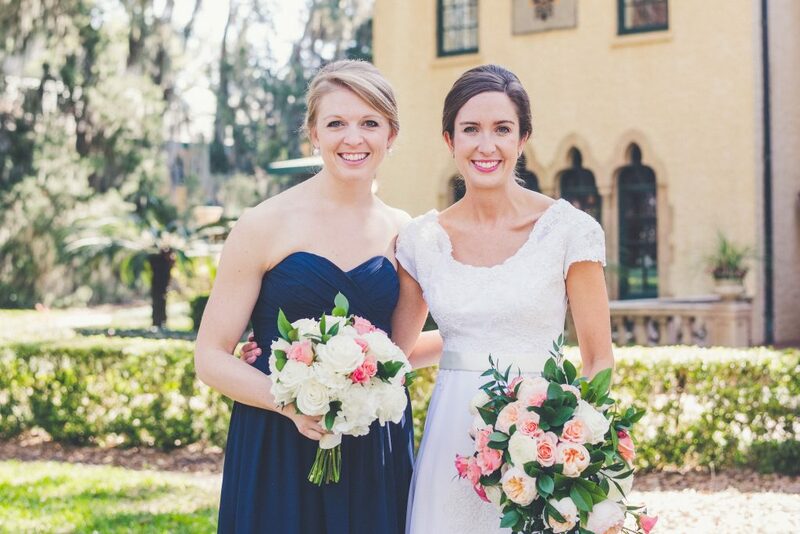 We always hear great things from brides about Molly and Cameron. 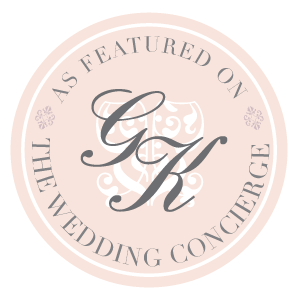 From the vendor’s point of view, both are helpful and ready to answer our questions and assist with the details such as floor diagrams. 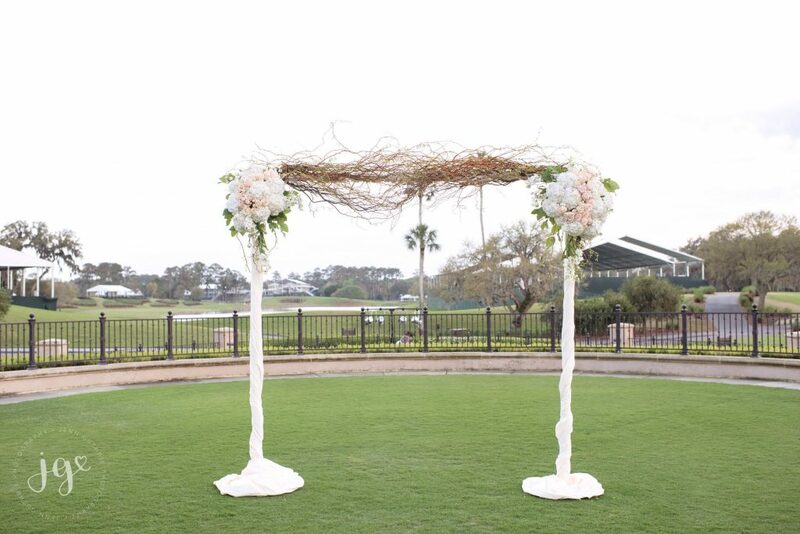 They always makes it easy for us to do our job to transform TPC into our bride’s floral vision. 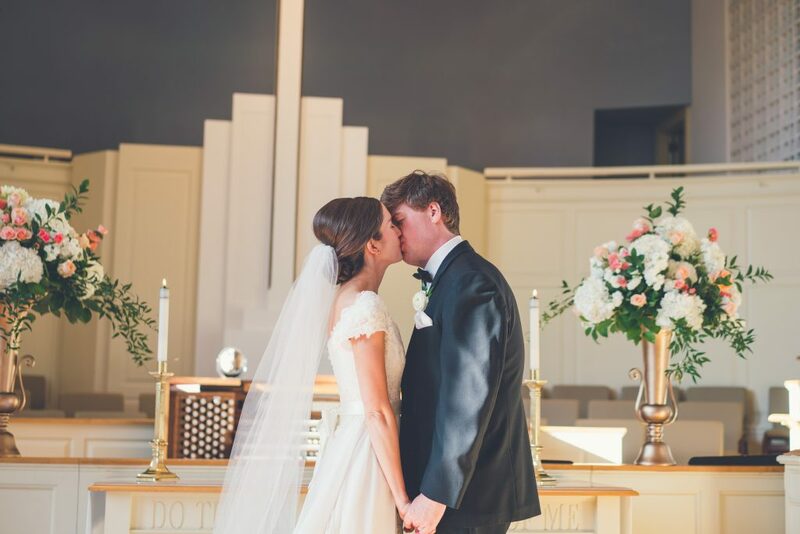 Kathleen and Robby became husband in wife in a beautiful, simple ceremony at Lakewood Presbyterian. 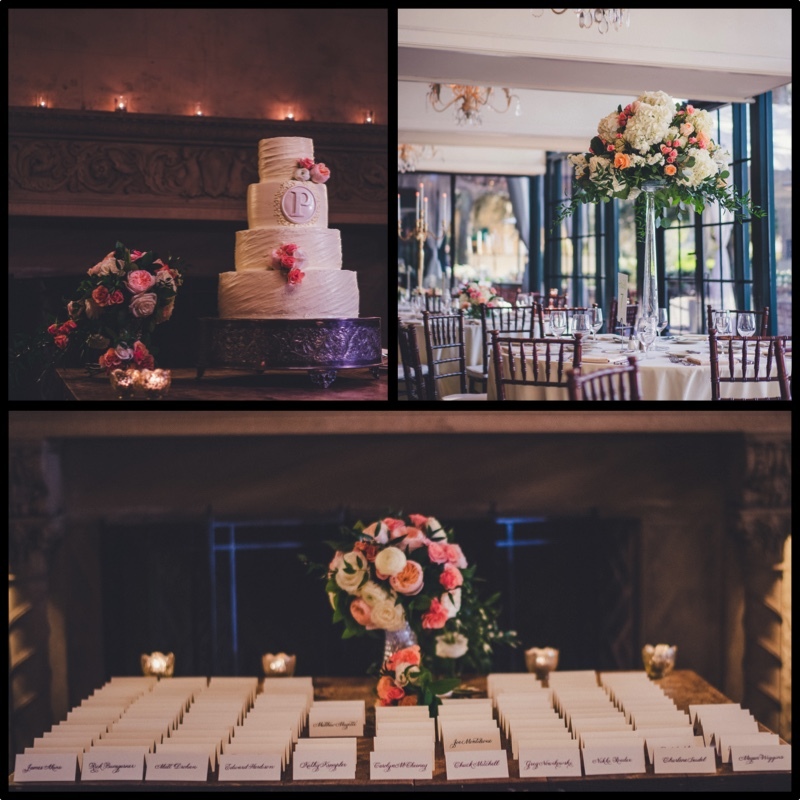 A stunning reception followed at Epping Forest. 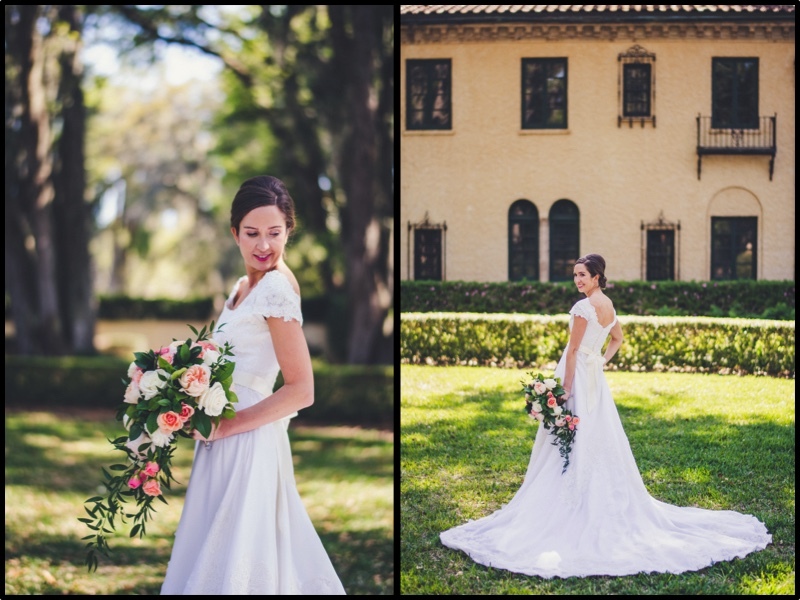 Kathleen was wonderful to work with and we loved creating her romantic, garden floral vision. 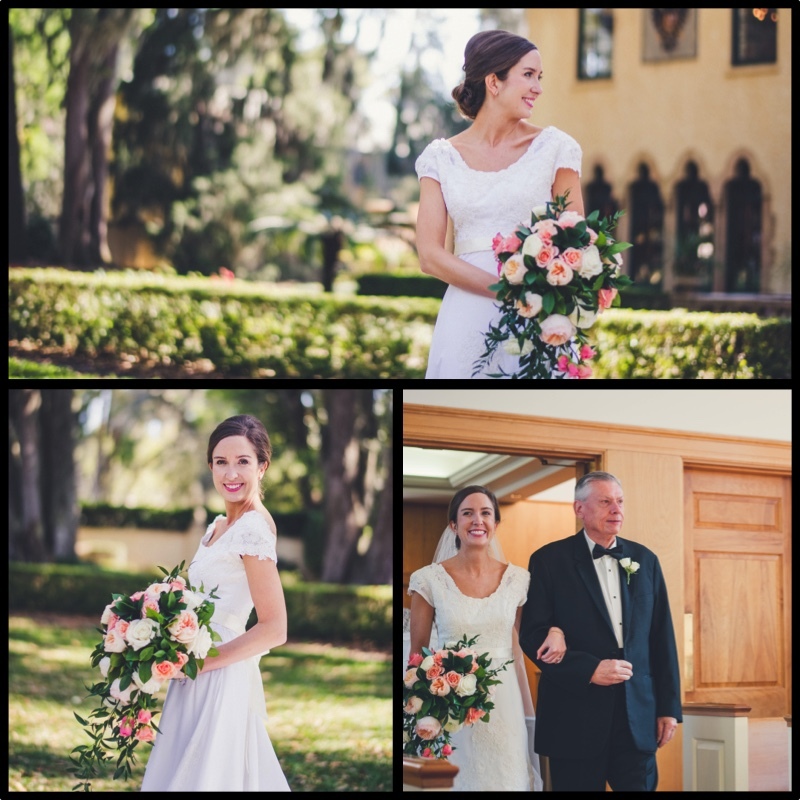 Kathleen carried a slender cascading bouquet of peach garden roses, ivory and blush roses, ranunculus, and Italian and Israeli ruckus. 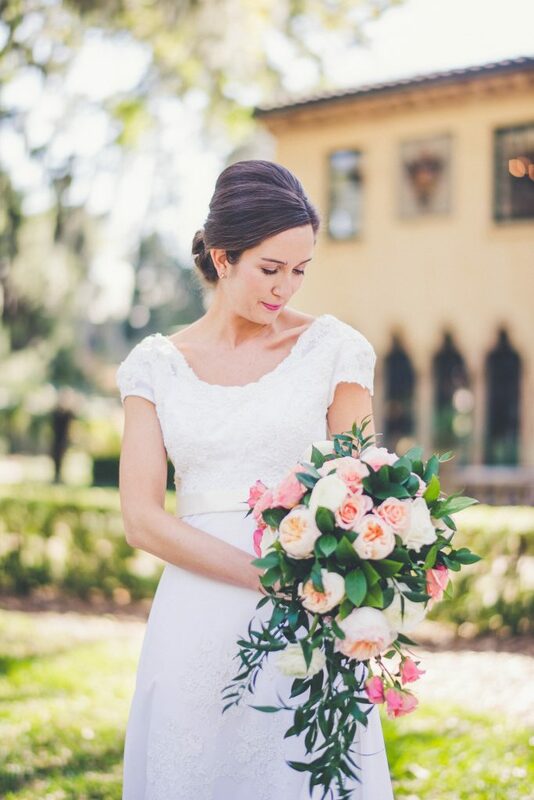 The bridemaids bouquets were ivory with touches of peach and accents of Israeli ruskus. 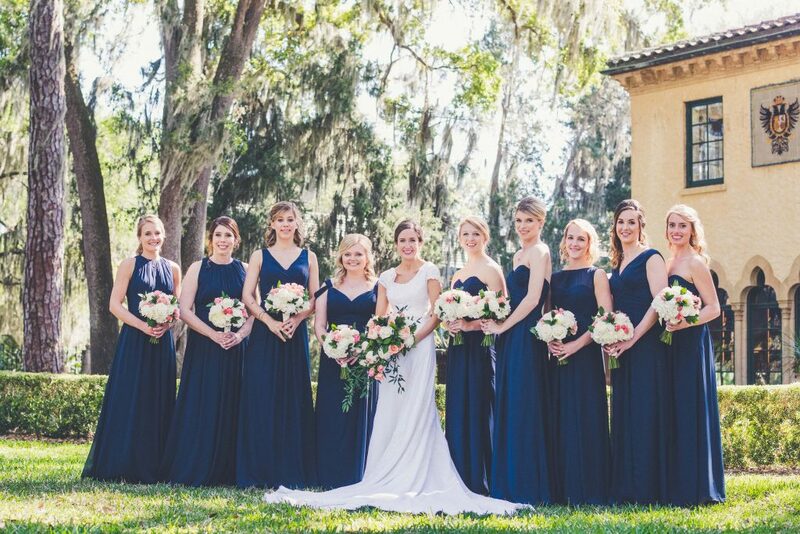 Their bouquets were the perfect accessory to their navy blue gowns and the perfect compliment to Kathleen’s bouquet. 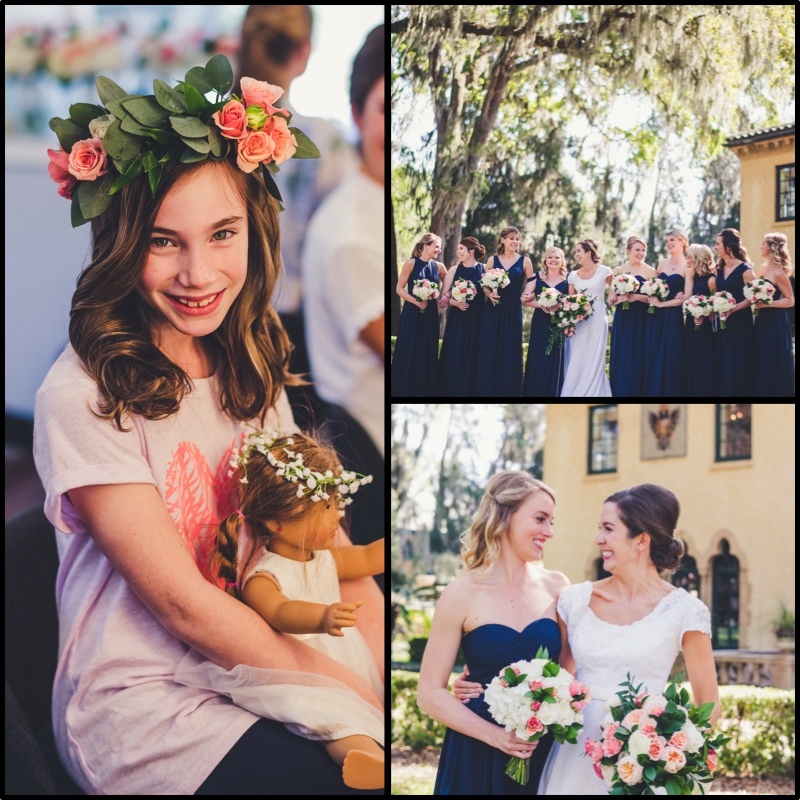 The flower girl wore a crown of eucalyptus and peach flowers. 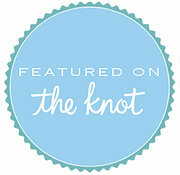 Robby’s boutonniere was a single white ranunculus acccented with greenery. 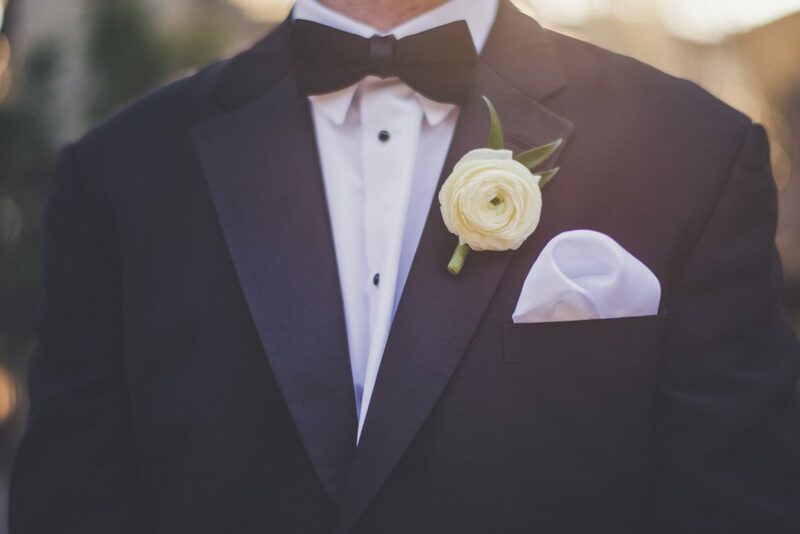 His men wore ones created with white spray roses and greenery. 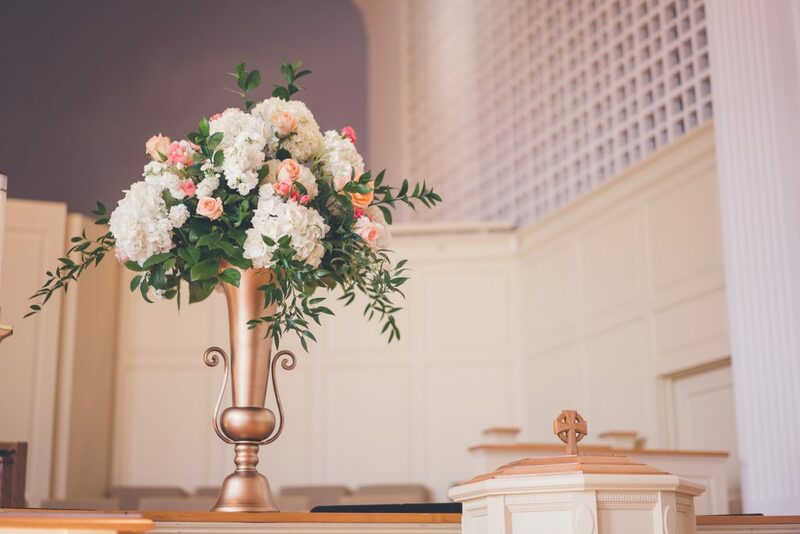 Two beautiful altar arrangments were made of white and peach flowers, and mixed foliage in gold urns. 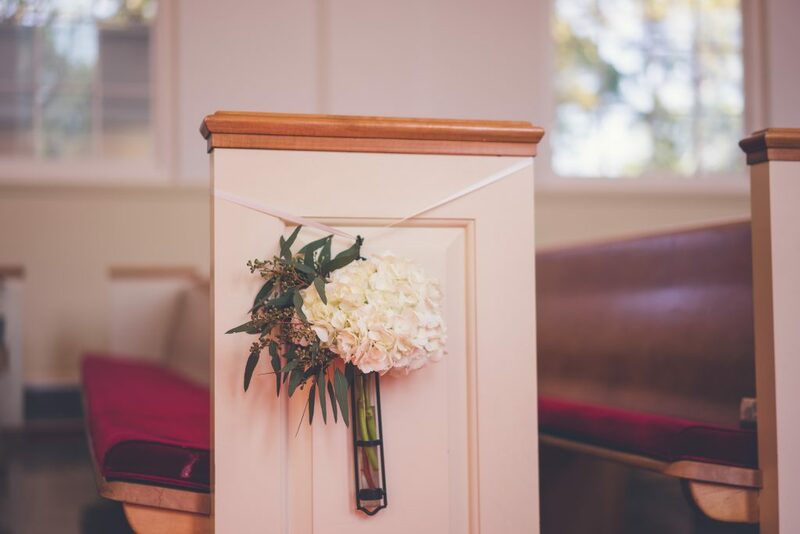 The aisle markers were made with white hydrangeas and greenery. 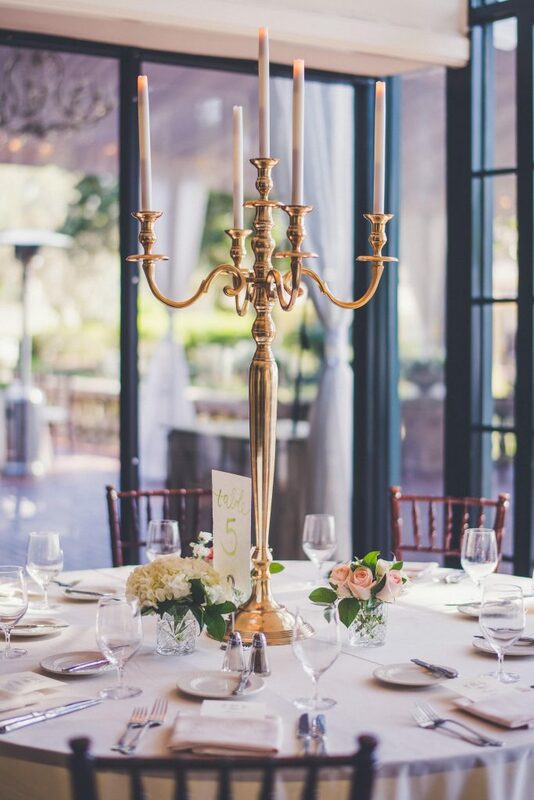 Breathtaking banquet tables were adorned with tall and short, golden candelabras. 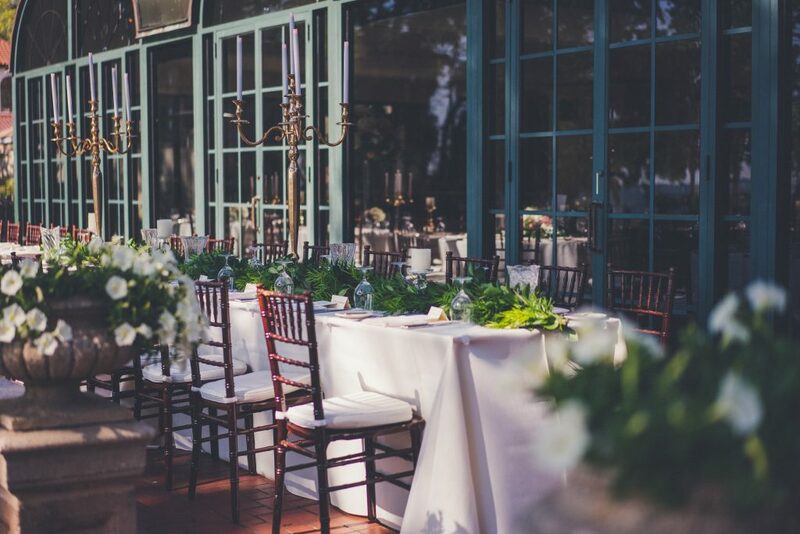 A mixed foliage garland down the middle of the table was accented with crystal pilar candleholders and crystal vases to hold the bridesmaids bouquets. 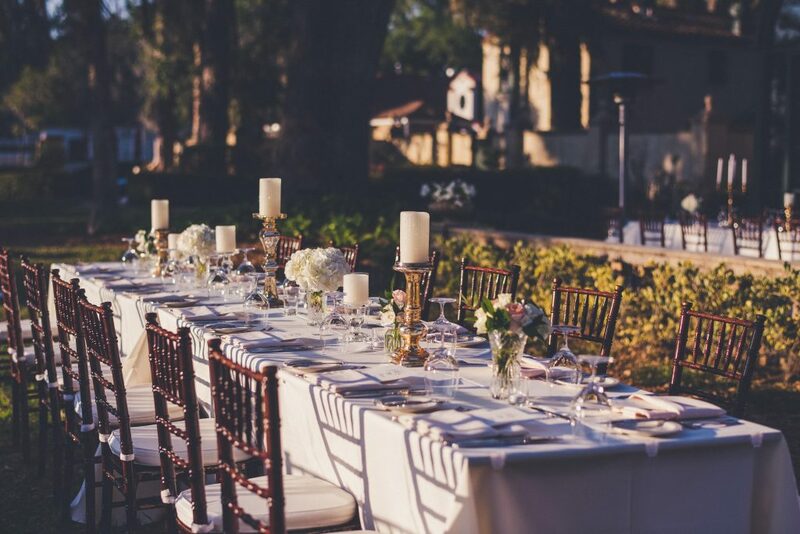 Another stunning banquet table had gold pillar candleholders and small crystal vases with complimenting flowers. 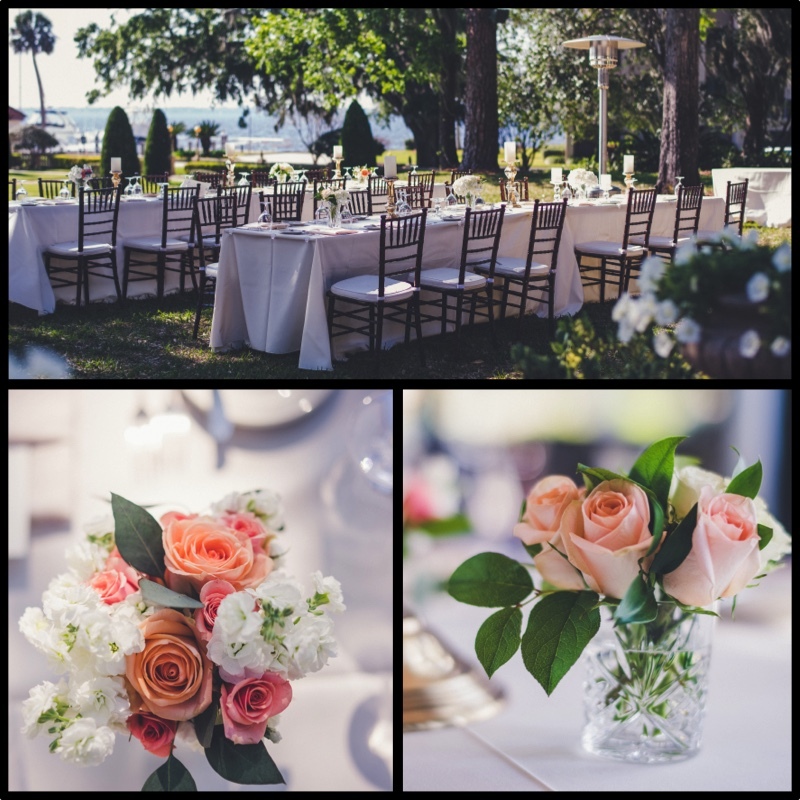 Low arrangments created on pedestals with flowing greenery and ivory and peach flowers only added to the romance of this beautiful reception. 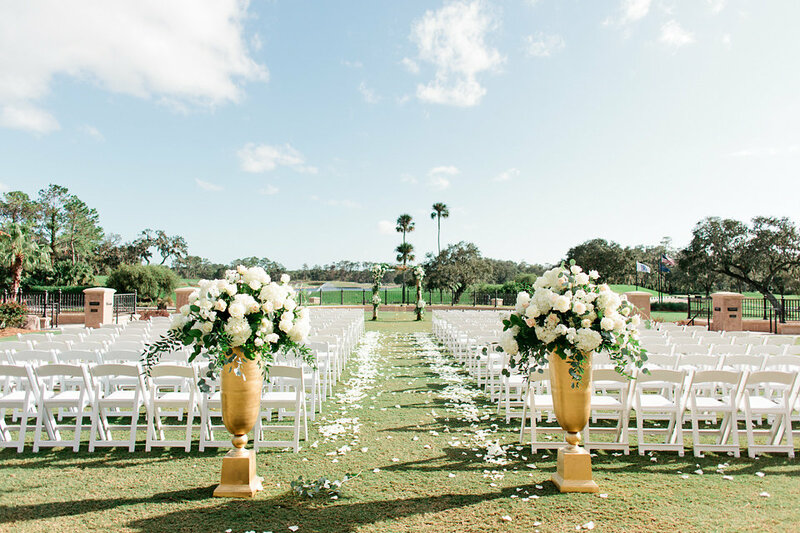 Tall centerpeices created with gold candleabras surrounded by small crystal vases with white and peach flowers complimented the garden floral vision perfectly.